Campaign: How Does the Man of Steel Shave? If Superman is indestructible, how does he shave? Maybe it’s not a question for the ages, but it’s one that Gillette hoped would pique the interest of the young men it was trying to win over—the same young men who were among the target audience for last summer’s “Man of Steel” movie. And given that the first trailer for “Man of Steel” showed a bearded Clark Kent, rather than clean-shaven Superman, the question seemed more relevant than ever. 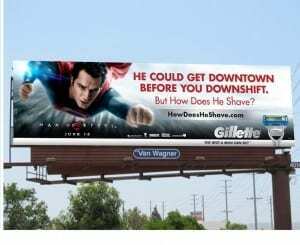 As part of a partnership with “Man of Steel,” Gillette posed the question in print ads, movie-theater commercials, digital media, a YouTube takeover, and out-of-home advertising in New York, Los Angeles, and Boston. The ads also directed consumers to HowDoesHeShave.com for answers—or at least opinions. Director and comic-book aficionado Kevin Smith, Bill Nye the Science Guy, “Mythbusters” hosts Jamie Hyneman and Adam Savage, and actress/doctor of neuroscience Mayim Bialik appeared in videos with their theories on the matter. Visitors to the site were encouraged to post comments, vote for their favorite video, and continue the debate via Twitter and Facebook using the hashtag #HowDoesHeShave. Social media campaigns from the participating experts amplified the debate, as did FSIs and in-store activities at Walmart. The campaign was even featured on “Entertainment Tonight” and “Access Hollywood” as part of the buzz leading up to the movie’s release. That coverage, along with mentions everywhere from The New York Times to Mashable, led to 810 million media impressions across 1,467 placements. The combined 1.8 billion media and earned impressions far exceeded the goal of 1.2 billion. 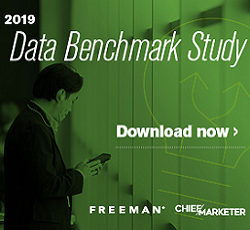 Gillette’s Facebook newsfeed reach exceeded the brand’s average 94 times over, while its Twitter engagement performed twice above its benchmark—results that certainly qualify as super.